Barbara Fawver has edited the Purina ProPlan Cat Update newsletter for many years, and is the 2018 recipient of the Winn Feline Foundation Media Appreciation Award. 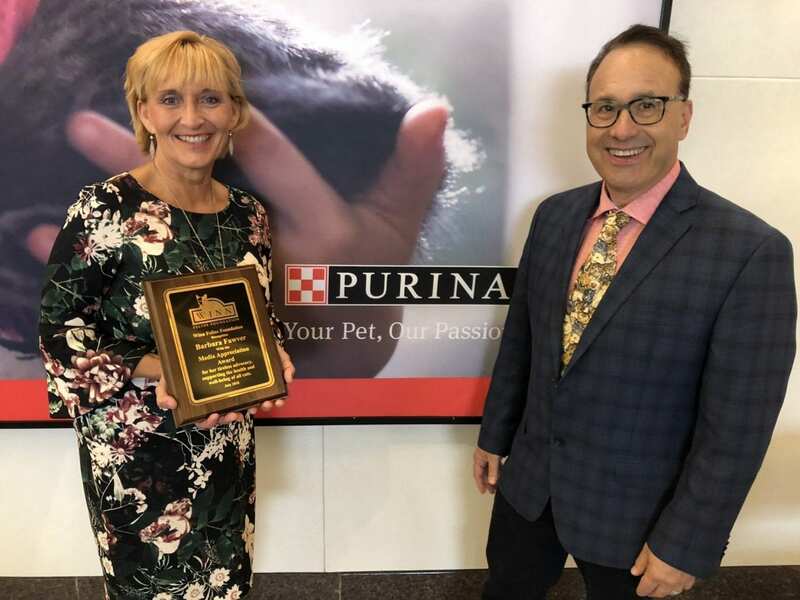 “Barb’s been incredibly proactive about focusing content in this publication on the latest cat health news,” says Winn Feline Board Member Steve Dale, who recently surprised Fawver with the award when he visited the Purina campus in St. Louis, Missouri. The Winn Feline Foundation funds the majority of the cutting-edge research that is covered in the Purina Pro Plan Cat Update newsletter. The fall 2018 issue features an international study of feline hypertrophic cardiomyopathy led by Dr. Philip Fox, a veterinary cardiologist at the Animal Medical Center in New York City, and the Ricky Fund, which raises funding to support research of the common cat heart disease. Other topics covered in the publication have included: advances in stem-cell therapy to treat feline chronic gingivostomatitis; chronic pain management of feline degenerative joint disease; and a study comparing the skin microbiome of healthy cats and allergic cats. The Purina Pro Plan Cat Update also has featured research of feline infectious peritonitis; cancer including mammary cancer and oral squamous cell carcinoma; retinal disease; infertility issues; kitten mortality; feline herpesvirus-1; and the first complete reference genome assembly of the domestic cat. Fawver coordinates the topics with Winn Feline and edits the articles that are usually assigned to other writers. Some of her writers who have previously earned the Winn Feline Foundation Media Appreciation Award include Fran Shaw and Kim Campbell Thornton. 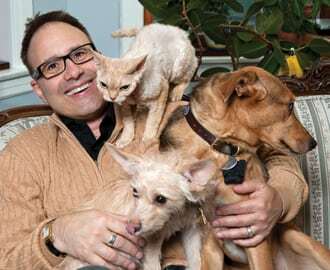 As Manager of Pet Influential Communications for Purina for 21 years, Fawver specializes in publications for cat and dog breeders and enthusiasts. 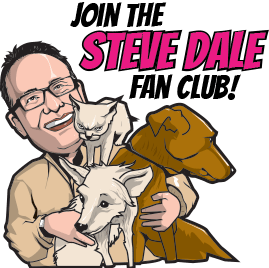 The Purina Pro Plan Cat Update is part of a series that includes 15 e-newsletters targeting health and genetic topics pertinent to cats and individual dog breeds. The cat research is supported by Winn Feline Foundation, and the canine health research is largely supported by the American Kennel Club Canine Health Foundation. The Winn Feline Media Appreciation Award was created to celebrate journalists who champion cat health and communicate messages regarding Winn’s participation supporting cats for 50 years.